Ivy Peterson is Less-Than-Ordinary. She’s so very Less-than-Ordinary that sometimes she feels invisible. She is also Not Very Brave. But part of her wishes she could be something More, that something Extraordinary and Completely Unusual would happen. What she forgets about wishes is that they do sometimes come true. Ivy accidentally falls into Zandria, a magical world that exists just outside her own. And she’s trapped there because someone has stolen the Talisman of Zandria, a magical amulet that controls the five gates the worlds. 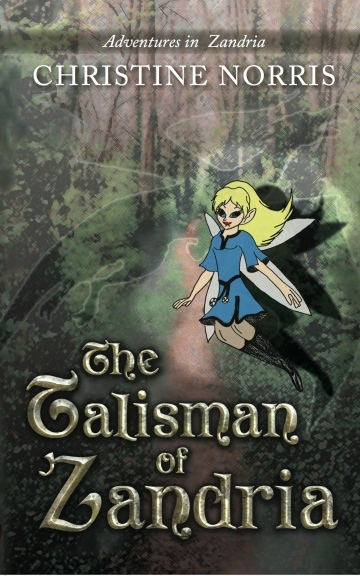 She and her new friends—the wizard Arden, his young apprentice Connor, and a pair of fairies—set off on a quest to recover the Talisman, a journey of discovery that will change Ivy in ways she never could have imagined. Also available in ePub, Mobi, and PDF at the ZP eBookstore.